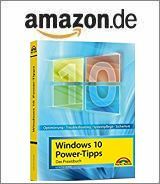 [German]Microsoft released the updates KB4090007, KB4091663, KB4091664, KB4091666 and KB078407 on April 24, 2018. These are microcode updates designed to protect Windows 10 against Spectre Variant 2 (and, if necessary, meltdown). Addition: The update has also been released. German site deskmodder.de recognized some Microsoft kb articles about microcode updates released on April 24, 2018. Here are the links to the KB articles I found. Microsoft has now added microcode updates for Broadwell DE A1, Broadwell DE V1, Broadwell DE V2,V3, Broadwell DE Y0, Broadwell H 43e, Broadwell U/Y, Broadwell Xeon E3. I did not find an update for Windows 10 version 1511. If you have not yet installed the Microcode updates, you can do so for the Windows 10 versions mentioned. Notes: I gave the status of the microcode updates for Intel CPUs in the blog article Intel Spectre/Meltdown Microcode Updates (March 11, 2018). The difference between BIOS updates and Windows updates for microcodes is described in the article Microsoft Updates KB4091290/KB4090007/KB4052623 (March 1, 2018). The update is available via Microsoft Update Catalog. Microsoft write: Consult with your device manufacturer’s and Intel’s websites regarding their microcode recommendation for your device before applying this update to your device. This entry was posted in Security, Update, Windows and tagged KB4078407, KB4090007, KB4091663, KB4091664, Microcode, Update, Windows 10. Bookmark the permalink. Microsoft doesn’t distribute the microcode updates for Sandy Bridge and Ivy Bridge. The performance impact is higher as for Haswell or newer. The reason there is no new microcode update for Windows 10 v1511 is because that specific version is no longer supported. Microsoft dropped support for Win10 v1511 home/pro on October 10, 2017 and MS dropped support for Win10 v1511 education/enterprise on April 10, 2018.